I am sending Ba’s body to you, since it was her wish that she should be cremated in the compound of our ancestral home in GUJARAT. You will find inside the coffin, under Ba’s body, cans of cheese, 10 packets of Tobler chocolates and 8 packets of Badam (peanuts) please divide these among all of you. On Ba’s feet you will find a new pair of Reebok shoes (size 10) for Mohan. There are also 2 pairs of shoes for Radha’s and Lakshmi’s sons. Hope the sizes are correct. The Swiss watch that Reema wanted is on Ba’s left wrist. Shanta masi, Ba is wearing the necklace,earrings and ring that you asked for. Please take them off her..
PPS: This is not a real incident and meant for fun. No offence intended. Utterly callous and funny! But on a more serious note, we are already at the brink of death of marriage, death of family system and so on. Just wondering if this is the last straw “death of a funeral”! Are we about to say RIP to the funerals as well? Let the dead past be dead and move on with business as usual? He he he he made me laugh the story ..
Well we are losing a lot of things, we are becoming heartless basically, WE dont mean what we say when we say it .. Thats what it is . We call a person a friend but behave differently towards them .. Nothing is static and change is must in everything. Change we must, But for good – let’s hope. you should read “deaf sentence” by David lodge. In normal emotional circumstances, deafness is considered sad thing. But if you read this book, it is so funny and such irony.. Worth read once.. It is better to see humor in everything since life is funny. 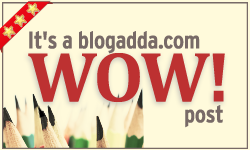 Hey Sapna, Thanks for connecting on my blog. Loved this story. Super fun. Cheers.